Dublin has a new fashion magazine. 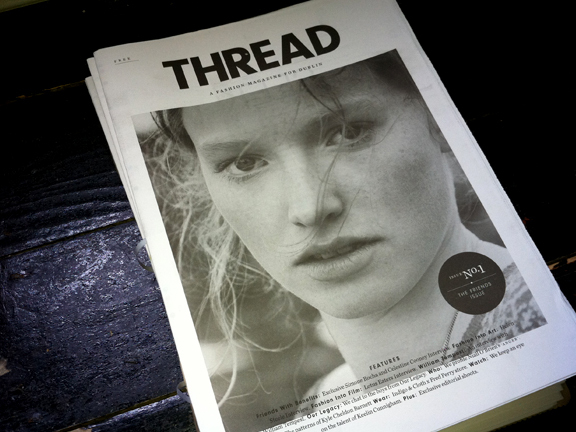 THREAD’s aim is to promote the suffering Irish fashion industry to a great degree. While only using Irish designers in photo shoots and interviewing Irish fashion legends, THREAD focuses on the relationship between Irish and international fashion. It’s time to sew another magazine into our lives!